Where Do I Get Custom Patches Made? If you’re in the market to have some custom patches made, I highly recommend connecting with Logan at Rogue Dynamics. When I launched Ruck.Beer I made a pretty cool logo and immediately thought it needed to be on a patch. I priced patches on a couple sites but had heard from multiple GRT that Logan was the man to talk to. I messaged him on Facebook with the logo, letting know that I wanted to order 50 patches. We talked pricing and he was good to go. Within a week he sent me an image of a rough production. I sent him some notes and questions. He made adjustments. Within a week the patches were on my doorstep. Logan was great with communication during the whole process and totally under-promised and over-delivered. If you’re in the market for custom patches, Logan is your man. Well, at least he’s Ruck.Beer’s man and we recommend him wholeheartedly. 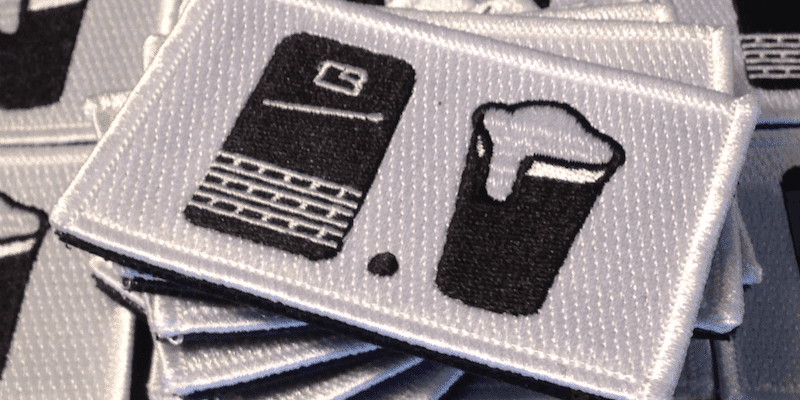 NOTE – Want one of our sweet patches? We give some away every month to people who sign up for our newsletter. So, do that. Logan is an awesome guy to get patches made from! Good to know. I’ve been waiting for months for another company to come through. Highly recommend!! Green County Ruckers first patch turned out better than expected!! Hey Ryan, I sent Logan a message about custom patches which he has not read yet. I’m assuming this is because Facebook put my message in the “requests” bin which does not generate a standard Notification. His page won’t allow me to send him a friend request so I’m SOL there as well. Any chance you can nudge him to check the requests bin. I’m trying to give this guy my money! Thanks! I shot him a message.